Response: No, rabbits do not need to be bathed. Buns are very clean animals in general. Most rabbits find bathing as a huge source of stress. If you should have the need to have a small area cleaned, spot treatment is best. Caution must be used to make sure you do not become chilled. A baby wipe might be all you need to take care of your needs. Do I need a Rabies shot? Bunnies are not required to get Rabies shots. While other pets are routinely vaccinated, there is not an approved vaccine for bunnies. Fortunately, the chance of getting Rabies is extremely rare in rabbits. So relax!! Why should pet bunnies be spayed or neutered? Bunnies that are spayed or neutered live longer and make better pets. Males are less likely to spray urine or fight. Females have a reduced risk of ovarian, uterine and mammary cancer. 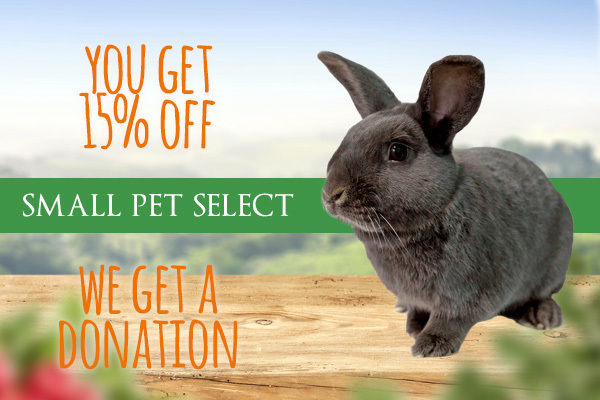 Other benefits include: a calmer, easier to train, more affectionate and less destructive rabbit. Of course, there is the obvious benefit too, of bunnies having a companion, without the risk of pregnancy. Also, there is a pet overpopulation issue with bunnies as there is with dogs and cats. By spaying or neutering, less bunnies will end up in shelters. It’s a win win situation! Only experienced rabbit vets should perform the surgeries. Bunnies can be fixed as early as four months old. What can my owner do to help the rabbits of House Rabbit Resource Network? Donations are always appreciated and needed to care for the bunnies until they find their forever homes. Rent, electric, hay, pellets, litter and medical expenses add up quick. It’s easy to donate online with Paypal. Sponsorships and memberships are good ways to help too. Adoptions also help! Maybe your owner would like to find a friend for you! What type of cage is best for me? I suggest a cage purchased from the House Rabbit Resource Network! These cages are affordable, well made, spacious, easy to clean and have doors that are large in size! There is plenty of room for your litter box, toys, dishes, straw hut and all of your bunny home decor needs! A 24″ x 42″ x 24″ cage with a loft is only $87.00 or without a loft is $82.00. That is the best price in town! The HRRN’s Bunny Boutique has all of your needs to accessorize your home. When you purchase a cage or supplies from us, it helps us continue to care for bunnies in need. What toys are safe for me to play with? Small plastic balls, untreated straw or bamboo mats, unfinished baskets, cardboard tunnels, pesticide free dried apple sticks, untreated wooden blocks, hard plastic baby keys and sisal rope toys are some suggestions for you. Your owner should keep safety in mind first when selecting toys for you and be certain your toys are non toxic. My owners are going out of town for the Christmas holidays. Help! What should I do? 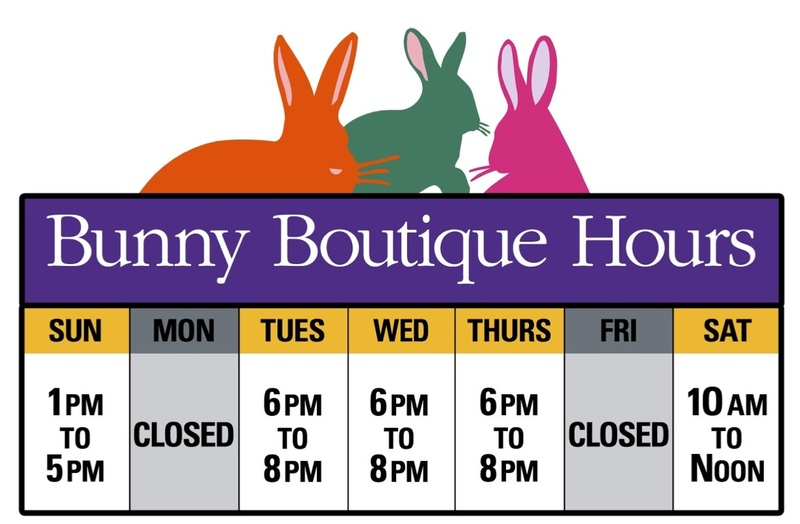 House Rabbit Resource Network is now taking reservations for boarding during the holidays. You can stay with us while your owners are out of town! The rates are low and the care is great! Help! I am starting to shed more than usual. What’s going on with my coat? Like cats and dogs, rabbits tend to drop their fur most often during the Spring and Fall. So, for the time of year, your shedding is normal. Your human companion should brush you more frequently to rid you of your loose hair. When brushing you, this also promotes bonding time and allows your human a chance to check you over for possible lumps or sores. I have recently heard the term “Malocclusion” used. What does that mean? Should I be concerned? “Malocclusion” is a big word used when a bunny’s teeth overgrow and don’t line up. Dental disease is fairly common in pet rabbits. A rabbit’s teeth are constantly growing. It can make it difficult to eat with improperly aligned and overgrown teeth. Yes, you should be concerned. Your owner should watch for any signs of teeth problems. Not to worry though my friend, a vet experienced with rabbits will treat you should you develop this problem. Hay and apple sticks are helpful to keep your teeth healthy. Why does my human companion keep me indoors? You are kept inside the house because you are a “House Rabbit” and loved by your owner! You can easily become overheated when exposed to temperatures of 80 degrees Fahrenheit or more. Rabbits overheat quickly and are susceptible to heatstroke, which can be fatal. Relax and enjoy the good life indoors with the joys of air conditioning during this hot summer! Do these ears make me look fat? I am a healthy New Zealand rabbit named Aussie. My weight is 9 pounds. The answer is no! Your weight is in the normal range for your specific breed. You are considered a large breed rabbit. Other large breeds include the English Lop, the Giant Angora and the Satin. Make sure your human slave allows you plenty of time to exercise. Lack of exercise causes obesity, sore hocks and other health issues. I am an attractive Californian girl that likes to make sand castles in my cage by digging out the used oine pellets in my litter box. While I enjoy creating these masterpieces, it makes it harder for my human to keep my living quarter clean and can get messy. Help! What should I do? Just can’t seem to help myself. I like to dig the litter out of my box! Relax! You are not alone. This digging instinct is normal. Your human can provide a metal grate to go on top of your litter box. This will prevent you from creating these unsightly sand castles. You may also ask for additional bunny toys to distract you from those thoughts. Ask for apple sticks, balls and straw mats. Thanks for the question. Good luck my bunny friend! !